To support the Distinguished Speakers Series, please visit https://donate.utoronto.ca/give/show/35. Setsuko Thurlow survived the Hiroshima atomic bombing in 1945. She was a 13-year-old, grade 8 student at the time. Thurlow, who married a Canadian and moved to Toronto in 1955, was in Oslo in December 2017 to accept the Nobel Peace Prize on behalf of the International Campaign to Abolish Nuclear Weapons (ICAN). Throughout her life, she has worked tirelessly to campaign against nuclear weapons and has been a leading figure in its movement, playing a key role to push the United Nations to adapt a landmark treaty outlawing nuclear weapons. 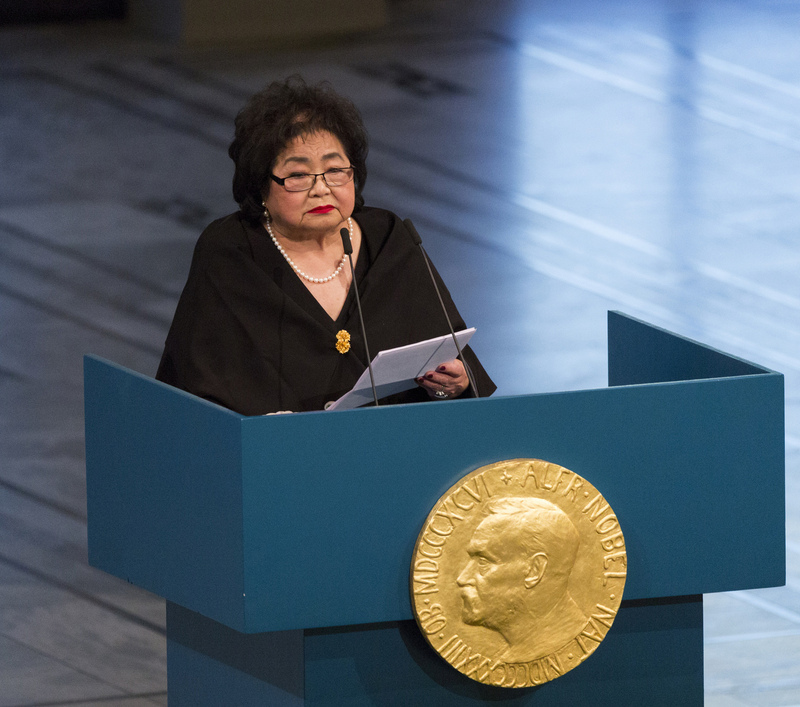 One of our prominent alumni, Setsuko Thurlow earned both a Bachelor and Master-level degree of social work from the Factor-Inwentash Faculty of Social Work, University of Toronto. 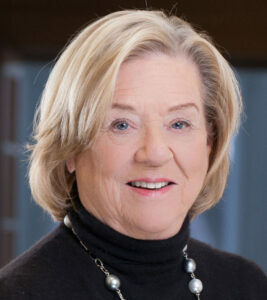 Spanning more than four decades, Ms. Thurlow has had an illustrious and impressive career, working in several different organizations, such as the Toronto Board of Education, the YWCA of Metropolitan Toronto, and the Holland Bloorview Kids Rehabilitation Hospital (then called the Ontario Crippled Children’s Centre). She was the founder and President of the Japanese Family Services of Metropolitan Toronto and provided leadership within many other multicultural organizations. She has been the recipient of numerous awards and honours, including the Queen Elizabeth II Diamond Jubilee Award and the Order of Canada for her outstanding contributions to the community and her tireless efforts to rid the world of nuclear weapons. To this day, Ms. Thurlow continues to share her inspiring story around the world. Title: Truth, Reconciliation and Canada’s 150th birthday: Cause for celebration? Biography: Dr. Marie Wilson was a Commissioner of the Truth and Reconciliation Commission of Canada. She has more than 30 years of experience as an award-winning journalist, trainer, and senior executive manager. Fluently bilingual in French and English, she has been a university professor, a high school teacher in Africa, a senior executive manager in both federal and territorial Crown Corporations, and an independent consultant in journalism, program evaluation, and project management. Dr. Wilson was appointed the 2016 Professor of Practice in Global Governance at the Institute for Study of International Development, McGill University, and a 2016-2017 Mentor for the Pierre Elliot Trudeau Foundation. 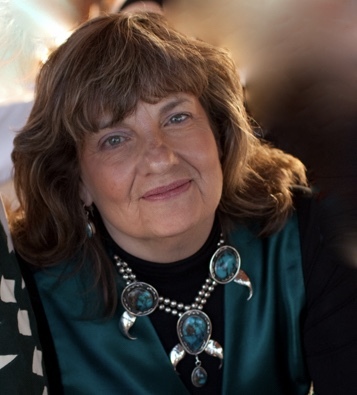 She is the recipient of a CBC North Award for Lifetime Achievement, a Northerner of the Year Award, honourary doctorates from St. Thomas University, University of Manitoba and the Atlantic School of Theology, among other recognitions. Most recently she was awarded both the Order of Canada and the Order of the Northwest Territories. Biography: Jane Middelton-Moz, Director of the Middelton-Moz Institute, is an internationally known speaker and author with over thirty-five years of experience in consultation, training and community intervention. Ms. Middelton-Moz has served on the Board of NACOA (National Association of Children of Alcoholics) and the Advisory Board of NANACOA (National Association of Native American Children of Alcoholics) and has been awarded the distinction and title of “Honorary Witness for the Truth and Reconciliation Committee of Canada”. She is recognized for her work in the areas of adult children of alcoholics, multi-generational grief and trauma in individuals, families and communities, ethnic and cultural awareness, anger, cultural self-hate, differential diagnosis, values in the workplace and in families, empowering employees and creating positive work place environments. Biography: The Honourable Margaret McCain graduated from the Faculty with a Bachelor of Science in Social Work in 1955. One of the Faculty’s most prominent alumni, she is the inaugural speaker in the newly established Distinguished Speakers Series. A committed alumna of the Faculty, McCain brings a wealth of experience and expertise acquired over an influential career. The first female Lieutenant-Governor of New Brunswick, she has been a forceful advocate for Canadian early child development policy and program initiatives, women’s rights, social equality, education, music and the arts. She is the co-author of the three Early Years Studies, released in 1999, 2007 and 2011, respectively. She founded the Margaret and Wallace McCain Family Foundation along with her husband, Wallace McCain and four children and was a founding member of the Muriel McQueen Fergusson Foundation, which aims to eliminate family violence through research and education. McCain is the recipient of an Honorary Doctor of Laws from the University of Toronto and is a member of both the Order of Canada and the Order of New Brunswick.